^ Johanna Granville, "Dej-a-Vu: Early Roots of Romania's Independence," East European Quarterly, vol. XLII, no. 4 (Winter 2008), pp. 365-404. ^ Boyes, Roger. Ceausescu looked in my eyes and he knew that he was going to die. The Times (London). 24 December 2009. ^ R. J. Crampton. Eastern Europe in the Twentieth Century - and After. Routledge. 1997: 247. ISBN 978-0-415-16423-8. ^ 褚钰泉. 悦读MOOK（第二十二卷）. 二十一世纪出版社; Esphere Media（美国艾思传媒）. 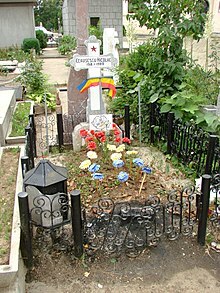 1 June 2011: 80–81. ISBN 978-7-5391-6538-7. ^ 12.0 12.1 罗马尼亚前总统齐奥塞斯库覆亡 绝对权力致腐败. 2010-08-03. ^ 14.0 14.1 王莉. 中國/羅馬尼亞關係大事記. 中國網. 2004年6月7日. ^ 杜君立：将不戴皇冠的独裁者送上断头台只要七天. 明镜网. 2013年3月13日. （原始内容存档于2013年10月17日）. 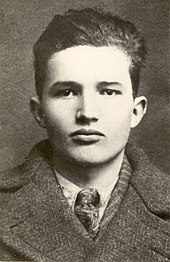 ^ Árpád Szőczi. 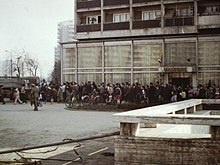 Timisoara: The Real Story Behind the Romanian Revolution. iUniverse. 5 March 2013: 333. ISBN 978-1-4759-7940-4. Andrei Ujica 導演. 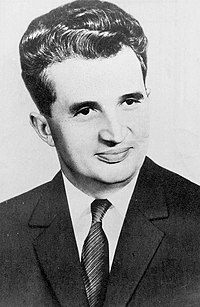 Autobiografia lui Nicolae Ceausescu [齐奥塞斯库自傳] (電影). 罗马尼亚: ICON production. 2010 （罗马尼亚语）.